Are you a High School or Community College Teacher in STEM? Want to offer the CS Principles course as AP or Dual Credit? Here is a chance to get all the training and the materials right here at UNT Discovery Park! Expenses are reimbursed and there is opportunity for a stipend as well. The lodging and lunch will be direct billed to us. You are just initially responsible for other meals and travel, to be later reimbursed. If the $75 registration fee is a problem. let me know. There are some other options available to us. BJC has regional Summer PD for public school teachers at different locations and dates around the country. The cost of the workshop is only $75 and includes all materials and ongoing support and mentorship throughout the school year by our BJC Master Teachers. Teachers who complete the requirements will be eligible for a stipend and coverage for travel and lodging expenses. 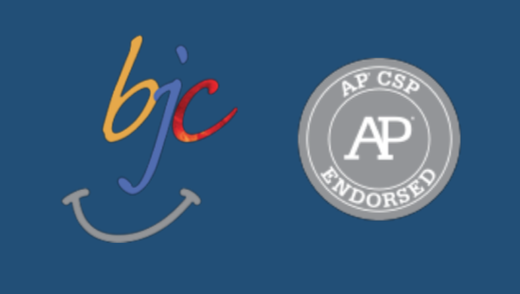 APPLY for a Regional BJC PD at https://bjc.link/PD2019App by May 15, 2019! Find more information, locations, and dates for our regional BJC PD at http://bjc.berkeley.edu/summer-pd/. Questions? Feel free to contact us at pd@bjc.berkeley.edu.